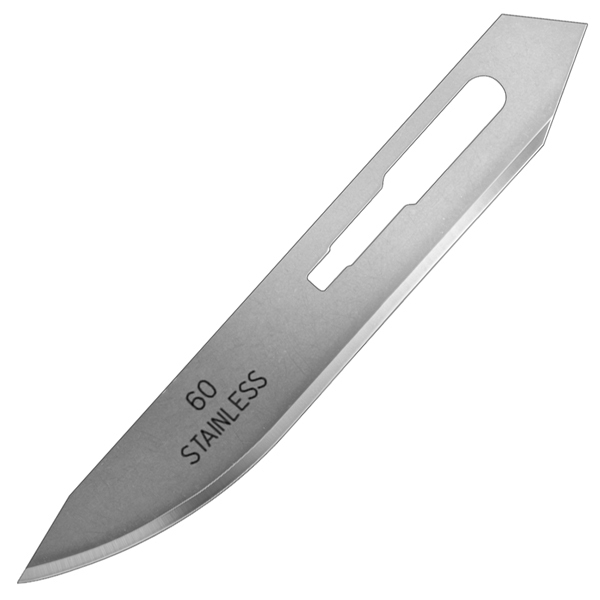 The surgical-edge #60XT skinning blade, is "crazy sharp" and has the extra durability of stainless steel. The #60XT fits all Piranta knives, and also the #8 and #74 surgical handles. The blades stay sharp for a long time on our farm. I use it all the time to cut twine off of equipment. I use it the most when I'm baling hay. I also use it to slice the plastic ditch when irrigating. I use my knife year around so it is not just farming. It is vary handy to just put in a new blade when one is needed.